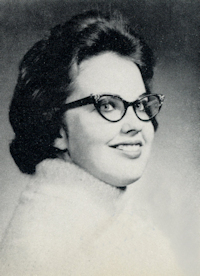 Obituary – Wall, Nancy (Golliver) « Perry High School Alumni Association, Inc.
﻿Red Hots ’58-’61; Annual Staff ’59-’60; F.T.A. ’59’61; Christmas Vespers ’58-’61; All School Revue ’58-’60; Glee Club ’58-’61; Junior Play ’59-’60; English Club ’60-’61. Nancy Wall, a state and national award-winning journalism teacher at South San Antonio High School died June 17, 2000 after an extended battle with small cell lung cancer. Born on March 15, 1944, Nancy grew up in the wheat fields of north central Oklahoma. In this remote upbringing, the family had no electricity until she was 11 years old, and a piper cub airplane delivered the Sunday newspaper. She received bachelors (’65) and maters (’69) degrees from Central State University in Edmond, OK, and taught in Oklahoma City, OK, Bellevue, NE, and Randolph AFB before arriving at South San in 1985. In three years, she transformed the well-below-average high school newspaper and yearbook into state and national award winning publications. These awards continued throughout her teaching career at South San. She was selected as the South Sans ISD Teacher of the Year in 1988; the same year one of her students became the first student in South San’s then 68-year history to win state-wide honors in UIL competition. She received the Edith Fox King award, a state-wide award for journalism teachers, in 1994. Recognized as one of the foremost experts in desktop publishing for high school journalism in South Central Texas, Nancy was often used as a consultant by other San Antonio area school journalism departments. For many years, she was a state and national judge for high school yearbooks & newspapers as well as a judge at numerous journalism contests. In addition, she served as the school’s UIL journalism events coach. In 1999, she was elected as treasurer for the Texas Association of Journalism Educators. The hours Nancy worked were almost legendary, and her school years lasted 12 months instead of the normal 10. While football coaches are noted for the hours they work during football season, all those who dared to compare their hours with hers apologized afterwards, and one said she made him look like a part time employee! She still found time, however, to support her husband and the numerous activities in which her children were participating, such as church, scouting, football, band, and spirit groups. With teacher and students spending so much time together, she was often addressed as “Mom, er, ah Ms. Wall!” The last few years, though, it was “Gramm, er, ah Ms. Wall!” Many of her students pursued journalism careers, and a larger number went on to Yale, Harvard, Princeton, and other prestigious universities. 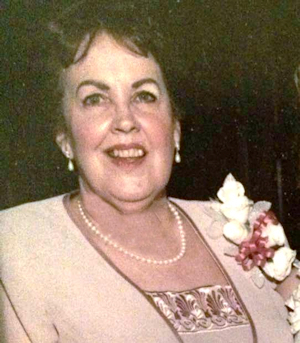 Nancy is survived by her Mother Faye Golliver, brother Robert and sister Dottie Nemec; Her husband of 31 years David, children Kelly, David, Carrie and Richard, and three grand children.